After 15 back-and-forth minutes, Johnson was temporarily awarded with a majority decision win over McCall in the first flyweight fight in UFC history. However, upon further review, one of the official’s scorecards was tallied incorrectly and the scrap should have been a majority draw. Either way, both were awarded with ‘Fight of the Night’ honors. 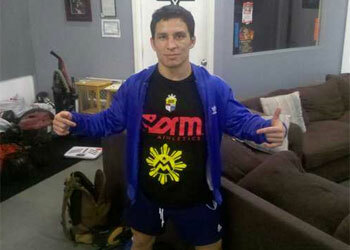 Benavidez was a heavy favorite to take the four-man 125-pound tournament entering The Land Down Under, and proved it by knocking out Yasuhiro Urushitani in the 2ndRound of the co-main event. It appeared Kampmann was well on his way to a unanimous decision defeat, but he rallied to catch Thiago Alves in a guillotine choke with less than a minute remaining in the show’s featured attraction. UFC on FX 2 took place inside Allphones Arena in Sydney, Australia.